Pain Points of Sales Management and How to Overcome Them by Nikolaus Kimla - SalesPOP! There are literally hundreds of pain points that plague a sales manager. 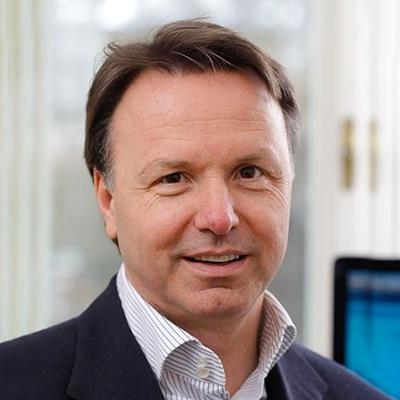 In Pain Points of Sales Management, Nikolaus Kimla gives you a fascinating and insightful tour of the most important of these. Throughout the book, pain points fall within one or the other of these categories. What kind of management methodology should be chosen to monitor and lead a sales team? You’ve mostly likely seen that there are thousands of books available, each touting its own unique “sales management methodology.” But are there management principles which can be universally applied, in any culture, and in virtually any context? As you’ll see in this book, the answer is “yes.” Instead of trying to evolve brand-new “sales management” techniques, we actually bring you sound management principles that have been proven through 150 years of practice. 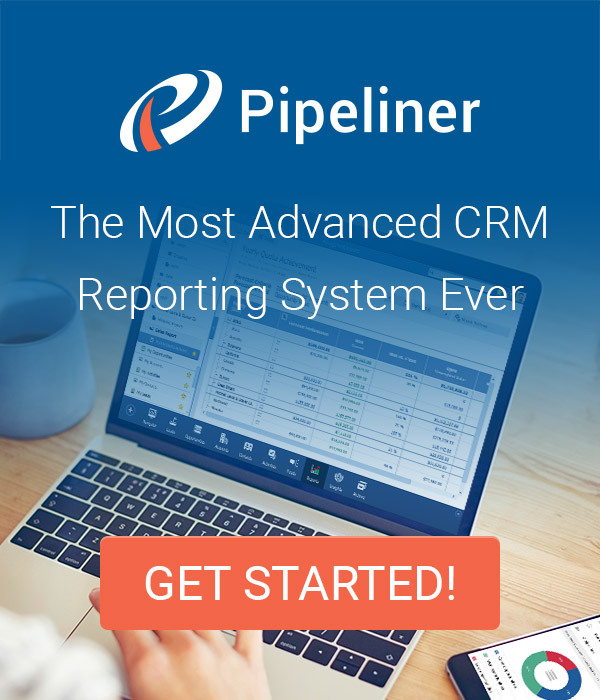 It is these same principles that have been applied in and through Pipeliner CRM. And, as you’ll see, “sales management” is actually “management” with some specialized practice. Great management methodology can be applied to any field. Technology has become such an integral part of today’s business world that very few activities can be performed without it. One could even say that many endeavors are impossible without technology. That certainly includes sales. There is some kind of technology tailored to every sales-related activity: lead generation, prospecting, opportunity tracking—all the way down to the simplest tool a salesperson puts to use: the call. In that technology is mandatory, it then becomes a question of which technology you chose. You must evaluate: is it really helping the company? Or is it backfiring because people don’t like it, or it’s complicated, or it’s too expensive? A good benchmark for the worthiness of technology is, “What should the technology do?” What is it for, what issues does it resolve, and how does it empower sales management and sales itself? There really is no other approach. To try and decide on technological solutions before you’ve really examined all of your company’s requirement is seriously putting the cart before the horse. Without people you have no sales team–hence this is obviously a very important category. Because people are people, there are limitless issues associated with them, and we couldn’t possibly address them all. For the purposes of this book, we assume that your sales reps have been chosen, hired, trained and are now up and running. We’ll help you take it from that point. Of course, the “people” category includes you, the sales manager, and there is much we’re going to assist you with. Most sales management is about reacting instead of acting. Much of this reacting comes in the form of firefighting—meaning, taking various sales away from salespeople at the last minute so that they can be closed quickly enough to make quota. It is something that can become a vicious circle, something you never get out of. If you find yourself in this category, we’re here to put you in the driver’s seat so you can act instead of react, drive the car instead of being a passenger, and cease firefighting. Sounds like a funny thing to say, doesn’t it? But it’s true. Of all the many pain points for a sales manager—and our research has turned up dozens—the first and foremost of these is the sales manager himself or herself. Chapter 2 — Just How Important is Technology to Sales Management? A key factor in a sales manager’s approach is technology. Without the right technology, the sales manager isn’t going to even have the data to view, let alone interpret and make decisions with. The first thing you must admit is just how difficult it is to change people. Ask yourself: Have you ever tried to really change someone? Then ask yourself: Did you succeed? If you answered “Yes,” great! But the vast majority would answer “no” to this second question. This is doubly true for trying to change someone simply and only on a professional level—in their job. Most of the time, a sales manager becomes a sales manager by being promoted out of the salesperson position. A salesperson was a top producer on a sales team, and was then promoted to sales manager to run that sales team. Sure, being great at sales helps—in fact, salespeople may not even listen to them if they aren’t—but that is only the beginning. There are many other skills a sales manager must have, chief among them being management itself. While it starts like many old jokes (“A sales manager walks into a company…”), to anyone who has been there, it certainly isn’t one. A sales manager walks into a company, is hired, and is expected to take the sales team—and the company bottom line—to new heights. When a sales manager newly comes into a company and is faced with an existing sales team, he or she will be confronted with a number of pain points. This is a list of them, and roughly the order in which the new sales manager should handle them. What is forecasting? It is doing your level best to accurately predict the amount of sales that will be closed during a particular sales period—month, quarter, half-year or year. There are 2 main components to sales forecasting: the people, and the technology. Without technology accurate forecasting is pretty near impossible. But the other side of it is an understanding of people—specifically the people in your sales team. Today lead generation has radically changed, due to the proliferation of the Internet. Because information on your product or service is now so freely available—along with that of your competitors—it is very easy for potential buyers to compare products. 60 to 70 percent of the decision making in B2B sales is made before the decision maker approaches the supplier. This has a profound impact on the lead machine. A question which any businessperson is going to ask after closing that first sale is: How can I keep that customer now that I have them? The answers to that question add up to account management. It is the set of activities needed to keep your customers once you have sold them. Account management is critical because retaining and selling to an existing customer costs far less than pursuing and selling to a new customer. Perhaps more than other more average fields, you really need virtues in sales management. The bottom line: if you don’t clearly understand how a sales manager needs to be poised for the future, you reduce the chances of creating value and growth. It is for this purpose I have laid out these virtues. Pingback Year-end Race: Where Will You End Up in 2016? - SalesPOP! Pingback Pipeline Projections on CRM: A Godsend for Sales Management - SalesPOP! Pingback 3 Proven Ways to Find, Reach and Engage Multiple Influencers and Decision Makers - SalesPOP! Pingback Why are Sales Opportunities Lost? - SalesPOP! Pingback Learning from Failure: Trying to Grow Too Fast - SalesPOP!